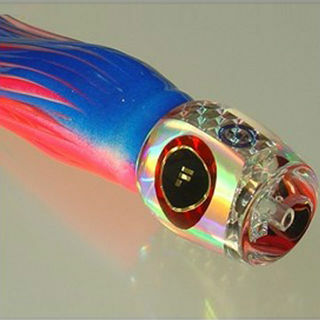 Nickle plated Brass Kawahai spinning Lure with Holographic Prism. Mounted with red tag, split rings, swivel and Eagle Claw Treble Hook. Made in New Zealand. Available in weights 20g - 80g. The Smiths Jig trolling lure has caught more Kahawai in NZ than any other lure. The "Tuna Eyes" is a great tuna, mahimahi, wahoo, sailfish and kingfish lure. It is rigged with a Mustad 6/0 double hook and 100lb mono leader. Savage articulated swimmer lure. 135mm long, 28g, slow sink. 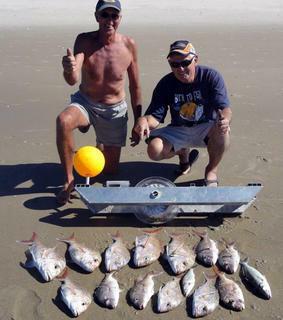 Saltwater Chickens have a heavy weighted head to ensure the lure will swim without flipping in rough seas. 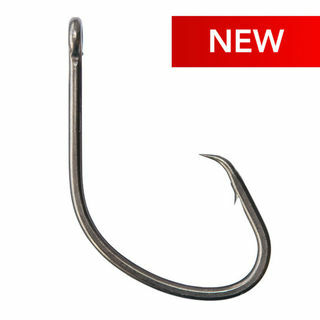 Available with either a single hook or a double hook. Built to handle tough Australian fish, Berkley 3B MONSTER hard bodies feature a stainless steel wire through hook harness cemented into a polycarbonate body and fitted with Owner hardware. The Shimano Waxwing lure is extremely versatile and can be fished in shallow water estuaries to right out in the deep blue benthos where predators await. 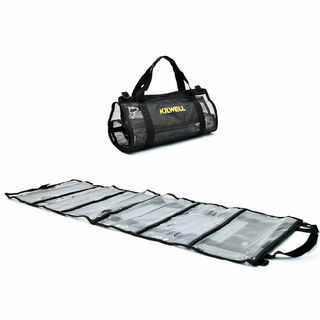 The Kilwell Game Lure Roll is a lure wrap bag that keeps your lures clean, dry and prevents tangles. 6 Pockets 120cm x 40cm. 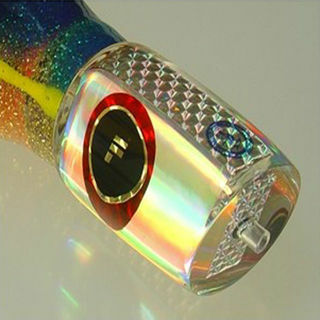 The worlds number one saltwater hardbodied lure and No. 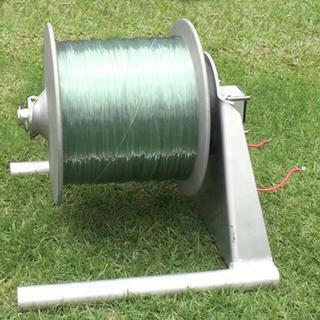 1 choice for open water trolling. 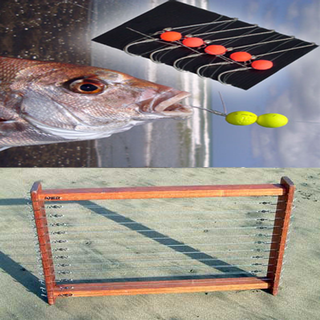 Controlled sinking rate is perfect for fishing suspended fish or submerged growth and structure. Deep diving lip with Rapala wobble action. 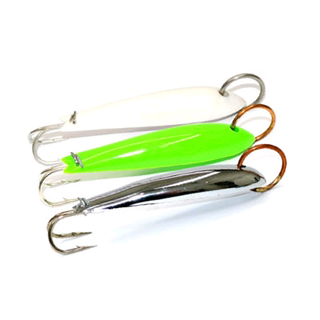 Retrofitting X-Rap Magnum lures with inferior single hooks is a thing of the past! 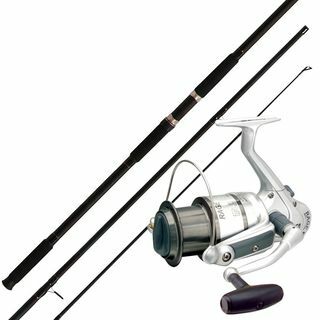 Introducing Rapala X-Rap Magnum – single hook series. Unassisted trolling depth of 30ft. The X-Rap is "all about the action" and it triggers strikes. It’s the perfect size and three-dimensional shape of a minnow. Prominent scales and the lateral line on the fuselage capture and flash light like a beacon. 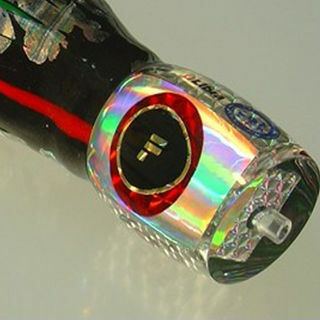 Unassisted trolling depth of 30ft. 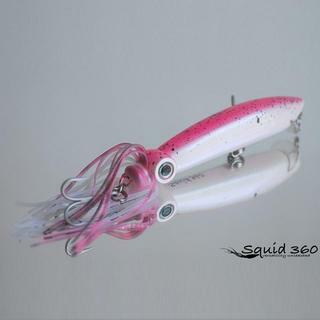 The Squid 360 fishing lure has been precision designed to achieve a realistic squid action when used as a stick bait or trolling lure. A large cup on the face of this small lure gives it extra wiggle action, similar to a bait fish in distress. 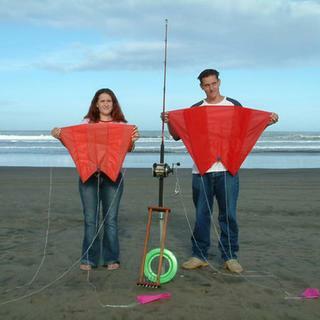 Ideal for tuna, small marlin, sailfish, mahi mahi and wahoo. An excellent lure for large tuna species like yellowfin and bluefin, but also other ocean pelagics such as marlin, mahi-mahi and many more. Like a saury, the slender profile of the head coupled with the length of the skirt allows this lure to be placed anywhere in the spread. Its a great choice for tuna, small marlin, sailfish, mahi mahi and wahoo. Our very popular Maggot and SBT lure ranges have been revitalised and are now available in a selection of our best performing skirt combinations. The new lure is called a Tuna Terror 2. 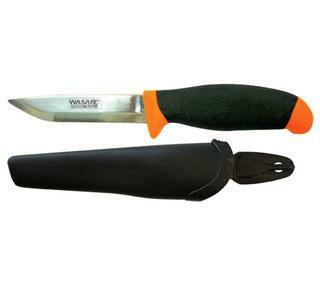 With an overall length of 200mm, its available in 8 colour combinations. The weighted head is the same size and shape as the Maggot head making it an excellent choice in most sea conditions. 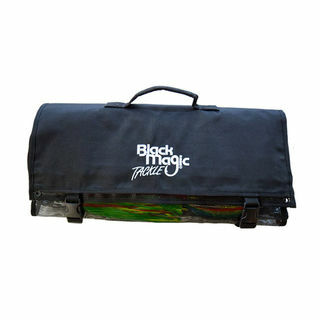 They are available unrigged or you can have them pre-rigged on 200lb Black Magic Tough Trace and an 8/0 game hook. A Bruce Martin favourite, this little lure has caught everything! Blue marlin, striped marlin and most of the tuna species  a great all rounder. 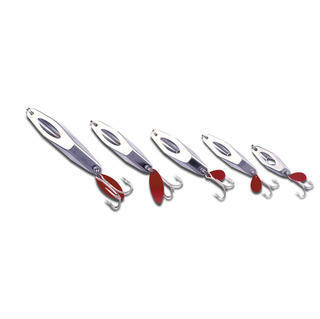 The lures have a super lumo head as well as skirt, making them an extremely attractive target for a wide range of pelagics  kingfish, tuna, sailfish, marlin and more. 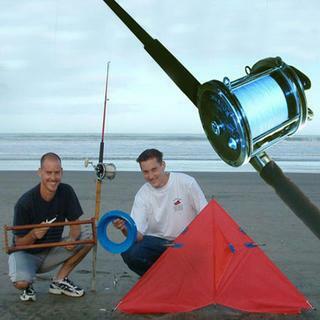 This flying fish combo is a great all rounder for all pelagics. 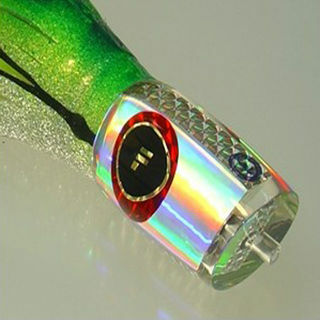 The unique colouring and the enticing action of the head ensures the Bobby Dazzler lure will produce results. 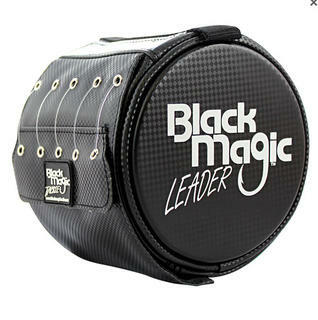 Six pocket lure wrap to keep your game lures safely secure and easy to carry. 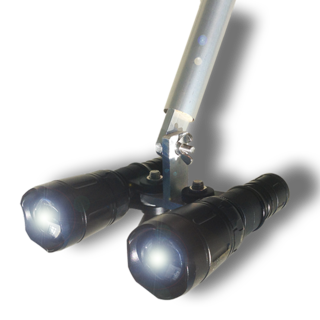 The Lumo Prowler is perfect for overcast or change of light conditions  its lumo colour combined with a prowler head makes it a stand out performer  irresistable to both blue and striped marlin. Another producer from Pursuit, this lure has been responsible for catching numerous blue and striped marlin, yellowfin to 60kg and even the occasional mahi-mahi. 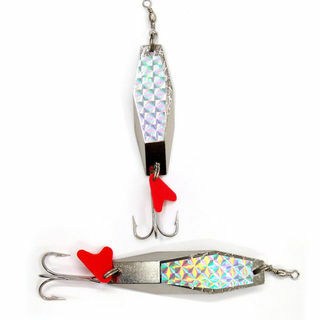 The Rainbow Rocker lure ticks all the boxes – size plus the colour combination of a black oily overskirt with red lateral line and a high intensity UV rainbow under skirt. 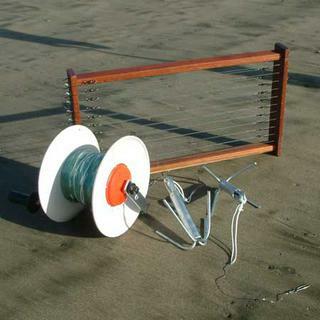 Run this lure anywhere on the spread at any time of day and it will perform. 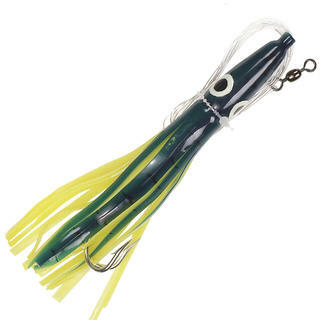 What makes this lure so good? Everything eats it! As the name suggests, striped marlin go crazy over it, but it will stop some big tuna and mahi mahi too. These 280cm / 180g soft head lures are way ahead of anything else on the market! Give yourself a fighting chance!!! 9 colours to choose from. An awesome performer at the back of your lure pattern. An exciting action attracts the big ones and its weight ensures the lure holds in well in rough weather. Our trials with the prototype produced two blue marlin on successive days. It is fugly! But the colour is a winner and has proved very effective on marlin and yellowfin tuna. 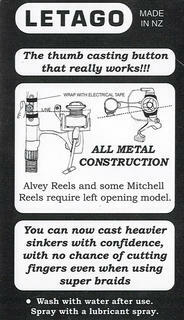 This lure was developed with the assistance of Harlequins skipper John Batterton. John has fished in a number of worlds billfish hot spots and his experience is evident in the Harlequin lure. This is obviously a true blue marlin lure because of its size and action. 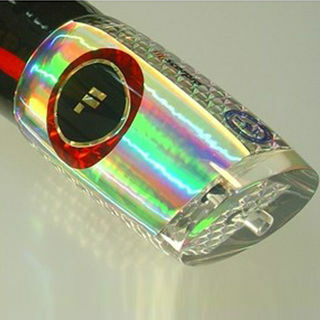 It features a super-tube style, slightly angled head, with a paua shell insert. 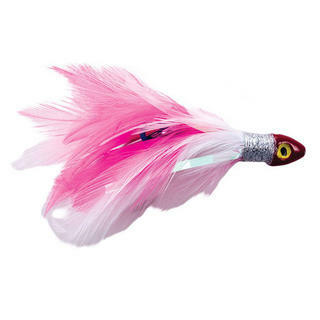 The skirts are light blue sparkle over silver sparkle and two pink wings give the lure a flying fish appearance. A favourite of Capt. Rick Pollock that has proved incredibly productive in Australia, New Zealand and the Pacific, accounting for striped marlin, blue marlin, wahoo, mahi-mahi, yellowfin tuna and kingfish. The heavy head works well in calm or rough conditions. Richard Baker’s old favourite. It has caught blue marlin, wahoo, black marlin and stripies. Richard Bakers old favourite. It has caught blue marlin, wahoo, black marlin and stripies. A favourite of Capt. Rick Pollock, it hangs in well anywhere in the lure pattern and appeal to a wide range of species including blue and striped marlin, shortbill spearfish and big tuna. Alain Jorion’s legendary lure. This lure caught Alain’s 1043lb black marlin as well as several large blues and lots of stripies. It has also caught sailfish, yellowfin and mahi-mahi. Alain Jorions legendary lure. This lure caught Alains 1043lb black marlin as well as several large blues and lots of stripies. It has also caught sailfish, yellowfin and mahi-mahi. Skipjack tuna are an important part of the pelagics diet. A black and purple lure in the pattern is a must. 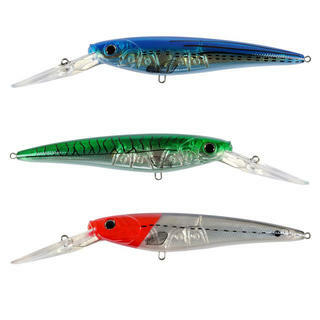 These 330cm / 200g soft head lures are way ahead of anything else on the market! Give yourself a fighting chance!!! 9 colours to choose from. 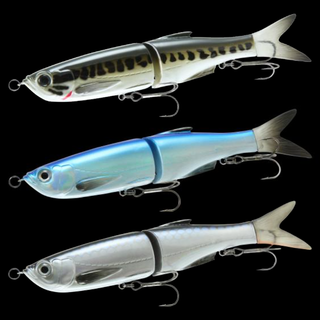 These 340mm / 250g soft head lures are way ahead of anything else on the market! Give yourself a fighting chance!!! 9 colours to choose from. 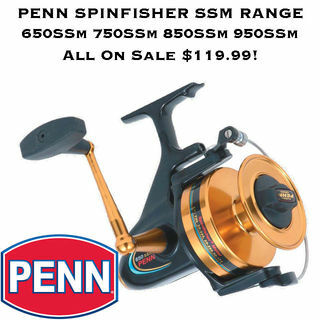 The Soft Pusher features new soft head technology. It is commonly believed that if a marlin misses the lure on its first strike, it is far more likely to make a second strike if the lure head is made of a softer material rather than a harder resin. These 350cm / 220g soft head lures are way ahead of anything else on the market! Give yourself a fighting chance!!! 9 colours to choose from. An awesome performer with exciting action that attracts big blues. Has also caught striped and black marlin as well as the occasional big yellowfin.